This has been a very eventful year at The Latchkey with significant changes to the structure of our little band of editors. It is with real regret that I note that our Founding Editor, Petra Dierkes-Thrun, has decided to move on and explore other areas of her wide-ranging research interests. She is already making an outstanding contribution to the field of Digital Pedagogy and Digital Humanities, but I am hopeful that Petra will continue to lend her expertise to The Latchkey. Joining me as General Editor is Joellen Masters, who many of our readers will know already as she has performed the role of Book Reviews Editor—with tremendous enthusiasm and a truly awe-inspiring level of organisational ability—over the last few years. Rounding out our team, we welcome Kirsty Bunting to the position of Book Reviews Editor. Kirsty is also well known within the field of fin-de-siècle studies and brings with her considerable experience. In this issue, you will find two featured essays by Jamie McDaniel and Anna Andes that engage centrally with the concept of the New Woman. Jamie McDaniel looks at the influence of the New Woman into the twentieth century, making an argument for New Woman literature as an important and previously overlooked source for the character of Rosamond Stacey in Margaret Drabble’s The Millstone. Anna Andes returns us to the late-nineteenth century by exploring four significant New Woman dramas that consider the vexed relationships between the New Woman and family structures, educational institutions and in society, and that link the New Woman directly to the emerging suffragette figure. As always, 2014 has seen the publication of many fascinating new books that will appeal to those interested in the cultural impact of the New Woman, as reflected in our book reviews section. This year we are delighted to be able to continue our exploration of the New Woman beyond the confines of England with Jane Ford’s review of Tina O’Toole’s The Irish New Woman and Joellen Master’s review of Stephen Petersen and Janis A Tomlinson’s edited collection, Gertrude Käsebier: The Complexity of Light and Shade. O’Toole highlights the work of Irish authors such as Sarah Grand, George Egerton, and L.T. Meade, and the affect of the social and political context of Ireland in the period between 1880 and 1920 in shaping their writings. While O’Toole’s book presents a new approach to viewing established New Woman writers, Stephen Petersen and Janis A Tomlinson’s collection on Gertrude Käsebier showcases the work of a woman who became one of the most celebrated photographers in America, but whose name will be little known to many outside the United States. This collection of essays was itself inspired by a unique exhibition of Käsebier’s work, curated by Stephen Petersen at the University of Delaware’s Old College Main Gallery in 2013. Stacey Kikendall reviews Mrs.Grundy’s Enemies: Censorship, Realist Fiction and the Politics of Sexual Representation in which Anthony Patterson uses the figure of Mrs. Grundy as the personification of conventional moral outrage to examine representations of censorship and strategies for dealing with it by late-Victorian writers including Émile Zola and New Woman author George Egerton. T. J. Boisseau reads Jane Jordan and Anthony King's edited collection, Ouida and Victorian Popular Culture which presents nine new essays on the significance of Ouida as a writer as well as her cultural influence. Melissa Purdue welcomes Miriam Elizabeth Burstein’s new edition of Mrs. Humphry Ward's Robert Elsmere, previously out of print for more than twenty years, finding in its introduction new information on the theological debates and family religious context that inform a text important for Victorian scholars for its broad popularity in its own time. Finally, Ruth Heholt reviews a book from the hand of an earlier Latchkey contributor, Marilyn Pemberton. Pemberton’s Out of the Shadows: The Life and Work of Mary de Morgan expands upon the connections between De Morgan’s work as a New Woman writer and the fairy tale genre. Our featured New Woman in this issue’s update of our Who’s Who page is Sarah Grand, undoubtedly overdue for attention in this section of our journal. Jennifer Nicol provides an informative account of her life and work. Of course, no account of The Latchkey’s team would be complete without acknowledgement of our excellent webmaster and publisher Steven Halliwell and The Rivendale Press, who have made this journal possible since its inception in 2009 and continue to support us in our efforts to extend scholarship on the New Woman and related research fields to readers worldwide in an open-access format. Many thanks to all our contributors for their patience in this complicated transition period. We look forward to bringing you next year’s issue in our more usual Summer timeframe, and will be putting out a call for papers early in 2015. 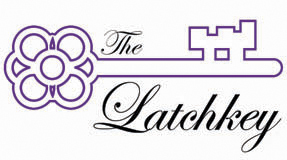 Please consider contributing an article to The Latchkey, and continue to send us inquiries, proposals, or materials for book reviews, featured New Women biographies, and other miscellaneous items you’d like to see published here.We accept submissions and inquiries year-round and look forward to receiving them at unbolt@gmail.com. The Irish New Woman. Basingstoke, UK: Palgrave Macmillan, 2013. Reviewed by Jane Ford. Gertrude Käsebier: The Complexity of Light and Shade. Blue Ridge Summit, PA: Rowman & Littlefield/ U of Delaware P, 2013. Reviewed by Joellen Masters. Mrs Grundy’s Enemies: Censorship, Realist Fiction and the Politics of Sexual Representation. Oxford: Peter Lang, 2013. Reviewed by Stacey Kikendall. Ouida and Victorian Popular Culture. Surrey, UK: Ashgate Publishing Limited, 2013. Reviewed by T. J. Boisseau. Robert Elsmere. Victorian Secrets, 2013. Reviewed by Melissa Purdue. Out of the Shadows: The Life and Work of Mary de Morgan. Newcastle upon Tyne, UK: Cambridge Scholars Publishing, 2012. Reviewed by Ruth Heholt. Sarah Grand by Jennifer Nicol.